We also provide service in the states of New York, Illinois, Pennsylvania, New Jersey, Conneticutt, Rhode Island, Washington D.C. Maryland, Massachusetts. 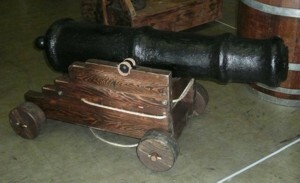 We also rent and sell smaller pirate cannons that range in size from 3' barrels to 4' barrels. The smaller Pirate Cannons have barrels made from fiberglass or rigid expanding foam and all feature wood carriages for maximum realism. 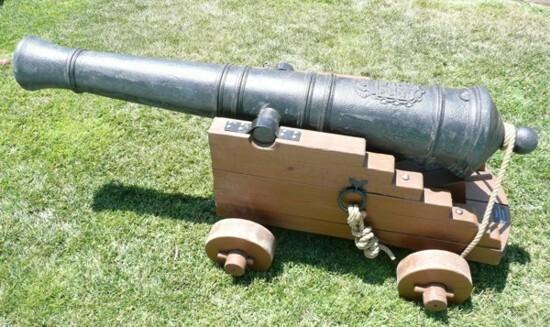 Our realistic pirate cannons are meant to last for years unlike some foam products sold by our competitors, these are professional grade movie props. 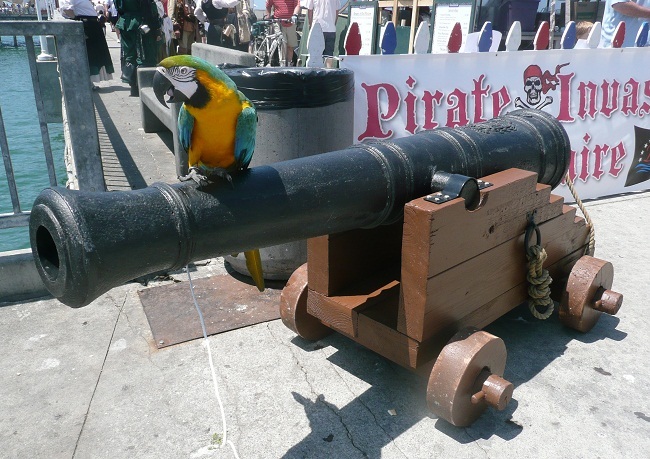 Pirates for Parties rents and sells the World's finest large and small pirate cannons also known as carriage guns as shown above with Harold the parrot sitting on one of our large Pirate Cannons. Our cannon barrels are made of sturdy black gel coat fiberglass and allows for the use of a fog machine or piped in CO2 gas to produce the effect of the gun firing. The carriage is made of heavy four inch timber and constructed to original specifications for a Spnaish Navy man of war gunship.